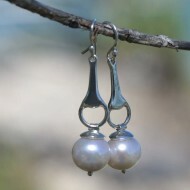 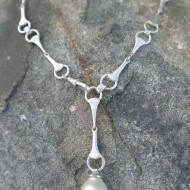 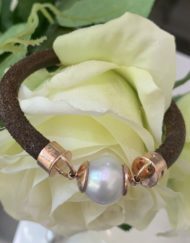 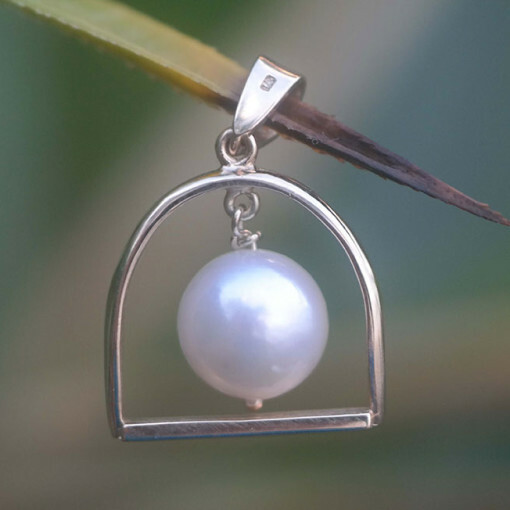 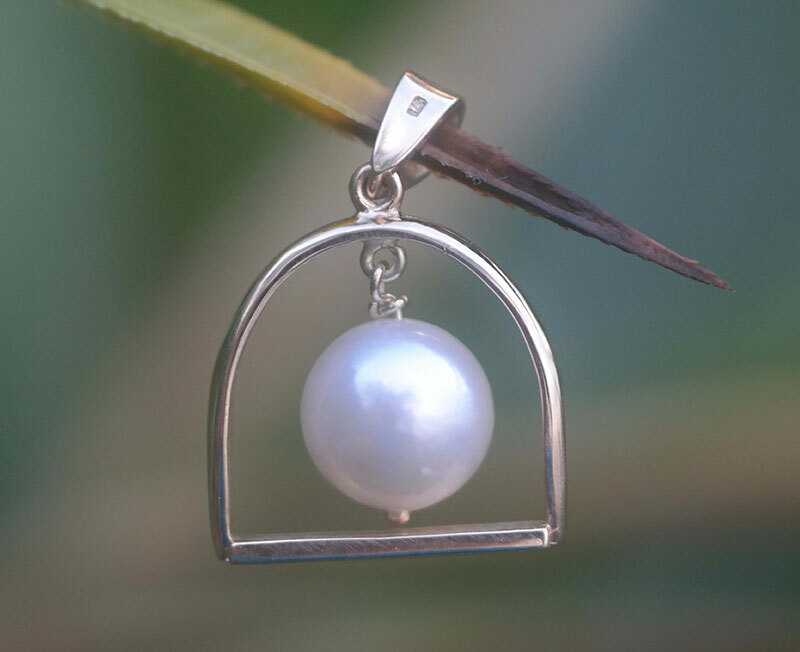 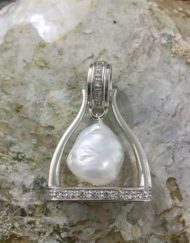 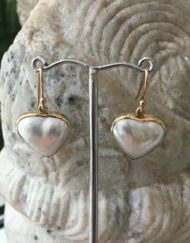 Sterling silver and pearl stirrup design by Pearls for Girls. 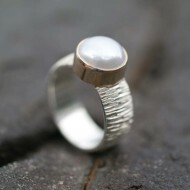 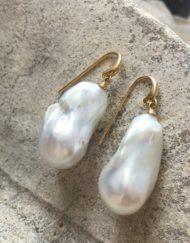 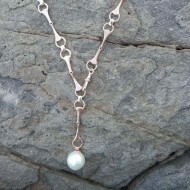 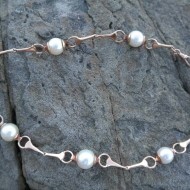 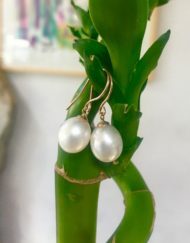 9ct gold with 12mm freshwater pearl, 35mm wide. 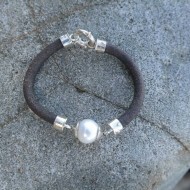 Handmade by Steve Rice. 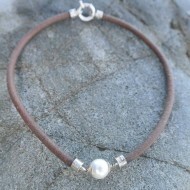 Sterling silver and pearl stirrup design by Pearls for Girls.